Love it or hate it, Saukrates' 2012 album Season One wasn't what many were anticipating. Amani is the first step in winning back fans who may have drifted since then, primarily by giving them what led them to water in the first place. This is a rap EP with little deviation towards anything else. The Snaz-produced lead single, "Kingdom Come," is the first indicator of that direction, a high-octane reminder of Sauk's greatness. 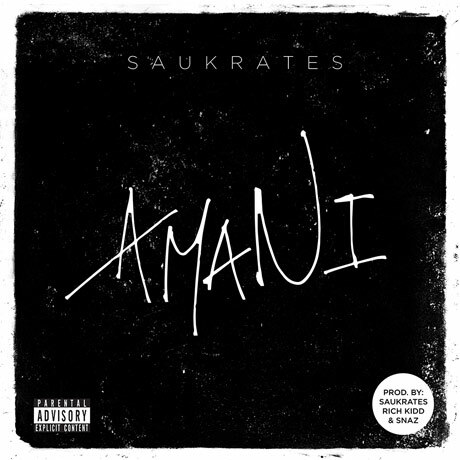 On the title track, Saukrates gets more personal and introspective than we've heard from him in the past, giving a glimpse of the headspace he's in via Q&As that reveal a man who's shrugged off cynicism, at peace with his life and career choices.